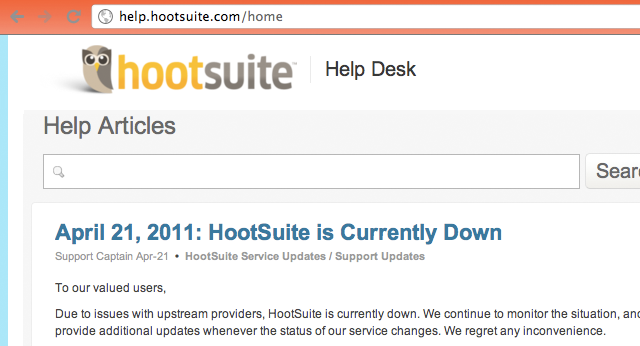 HootSuite uses their blog to keep users up-to-date when their service is down. What do the social media teams who work at Papa Johns, the Los Angeles Times, and Facebook have in common? Like me, they rely on HootSuite, a popular client, to help schedule their microblogging and monitor brand-related chatter. When the helpful browser-based tool went down last week because Amazon Web Services' cloud crashed, many were left wondering which HootSuite alternatives for managing professional social media needs are worth considering—either as a long term replacement or back-up during outages. Pros: Allows multiple accounts; easy monitor searches; built in "muting"
Do you have a back-up plan for your day-to-day social media management needs? TBH Creative specializes in website strategy and social media planning. We can help you develop a social media strategy for your business. We keep up with social media trends and best practices so that we can help you maximize your online marketing potential. Joy is the creative director at TBH Creative and uses her expertise to help clients use their online communications to build, design, and manage their brands. 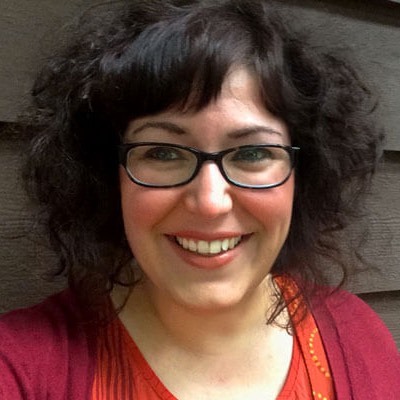 She likes to blog about content marketing in all its forms, the latest trends in digital marketing, and share tools with readers.